Chat now! Call us! Book now! 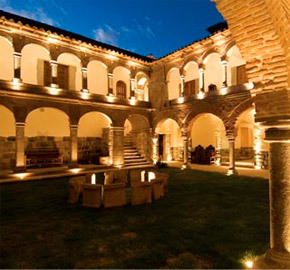 Inkaterra presents the first luxury boutique hotel in Cusco, which reflects an elegant mix of culture and tradition. 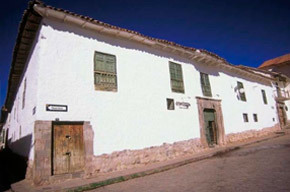 A colonial mansion perhaps the first Spanish building complex built on an Inca - occupied by the conquerors of Peru and their descendants. Eleven suites surrounding a lush courtyard, where time unfolds in an elegant and delicate. 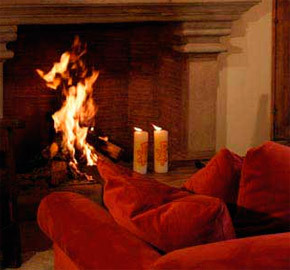 Contemporary amenities create the ambience of comfort and exclusivity which enjoyed the former residents of the mansion. Located at Plaza Las Nazarenas Inkaterra La Casona is surrounded by stunning Andean landscapes and charming cobbled streets, where guests discover the majestic past of the city.. This unique hotel museum is an architectural treasure built on Inca foundations with a beautiful chapel adorned with extraordinary gold ornaments. It combines the solemnity of a colonial monastery with the luxury, elegance, comfort and excellent quality of a modern hotel of 5 stars. 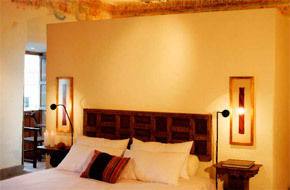 Enjoy these luxurious rooms baroque colonial Inca influence, which overlook the central courtyard of La Casona. These rooms feature one king or two twin beds with sheets of 100% pima cotton, 8 anti-allergic pillows and feather duvet and a dining area for 2 people which includes a stone fireplace. The large marble bathroom is equipped with two sinks, tub, shower and separate toilet, toiletries kit Inkaterra handmade, lush towels and bath salts. Moreover, these services have VIP suites, three daily cleaning coverage and personalized welcome from the airport. The square suite are equipped with one king or two twin beds with sheets of 100% pima cotton, 8 anti-allergic pillows and a duvet and a dining area for 2 people with stone fireplace. These exclusive suites feature a large marble bathroom equipped with two sinks, tub, shower and separate toilet, special kit of toiletries Inkaterra handmade lush towels and bath salts. For your convenience, suites have floors adjustable tempered at the ideal temperature. service laundry and room service is available 24 hours a day. Rates do not include the payment of VAT to 18% of Peruvians and foreigners living in Peru. Specify the type of accommodation (Single, Double, Double Triple). Specify the category of site (2, 3, 4 or 5 stars). Payment of 50% as warranty. Complete information of a valid credit card. The prices are in promotion to be paid cash, any payment with credit card will have a charge of 8% to the whole price of the choosen tour. The deposit must be sent under the name of Machupicchu E.I.R.L. (you can print this page). Name of the bank where the transaction was done. We will send a mail confirming the transaction and we will re-confirm your reserve as well. 2.- Send your payment by Money Bookers With your Credit Card. We send an e-mail confirm the transference and re-confirm your reserves.